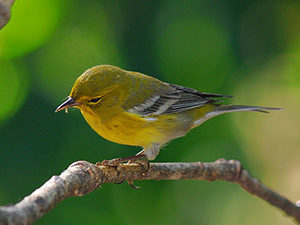 It is Uguisu-iro, is a dark dull yellow-green, such as the wings of the nightingale. But is the color name from the Edo era, at the time is popular to “Uguisu-iro” for tea was a fashionable color as a stylish color more brown was scolded “Uguisucha”, simply speaking of “Uguisu” ” Uguisucha “and he was pointing. Is from become a fashionable color in the late Meiji came to be recognized, “Uguisu-iro”. Nightingale is a bird of passerine warbler family, distributed in the whole of Japan resident bird fluent. It has been popular since ancient times, in the Nara period was called “Hohokidori”. Also referred to as “Harutsugedori” because it makes us hear the beautiful Saezu twitter of “Hohokekyo” in the spring, poetry reading the nightingale in the “Manyoushu” There is also a forty-eight species. Dyeing method of “Uguisu-iro” the Edo era of the book “Somemonohiden,” “return white Gore-one, return your one out fir, the Kim three momme enter the 其上 Kariyasu” there and, color feel the spring when used as is, it may be a little thin, bright colors there is also fresh green image. By the way, as the usage of “Uguisu-iro” boiled Aoendo Aoendo “Uguisumame”, typical color is “Uguisumochi” mixed with such as mugwort mugwort. As the color of this system, bright fresh green color “Moegiiro”, “Uguisususutake” in the dark “Uguisu-iro”, and further increased the blackness “Senzaicha”.